« Happy Hoffenpurpenburger Day Everyone! The lists of finalists in the 2010 Irish Blog Awards were announced last night, and I was delighted to see my blog Bicyclistic among them. If you’re interested in my photographs of Ireland and keeping up with my Irish paintings, Bicyclistic is the place for that. Currently I’ve posted a brief review of Year One for anyone who wants to catch up. 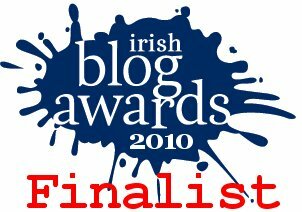 Like in all the other categories there are some blogs I’m familiar with and some blogs new to me, so I’d urge you if you’re interested in the state of Irish blogging, to explore the lists of finalists and maybe add some new blogs to your regular reading. I’ve been a fan of Stan Carey’s Sentence First for some time, as anybody who likes words should be, and I’d love to see it win. Wiith Irish blogging growing in numbers there were far more blogs nominated this year than ever before. Twice before I’ve had blogs of mine make the lists of finalists - American Hell and Irish KC - but with the increasing quality cleary visible in the lists, I’m especially chuffed with Bicyclistic making it this year. Going on previous years it should be a great night in Galway, and with my paintings being exhibited at the awards, I’m really looking forward to it. Thank you to iQ Content, to the Irish Blog Awards organisers, to the judges of which on average 8 judged each blog, and to whomever nominated me. 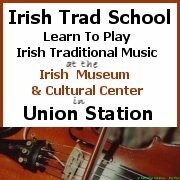 This entry was posted on Saturday, March 20th, 2010 at 9:17 am and is filed under 1-eolai, Ireland, blogs. You can follow responses via my RSS 2.0 feed. Both comments and pings are currently closed. Congratulations Eolaí, and thanks very much for the kind words. I’m looking forward to meeting you and to seeing your paintings at the weekend — in the flesh and on the canvas, respectively.